I have character stuck in Tria and I can't log on it, all others work fine, any of mods avaailbe for pm and quick unstuck please? You'll have to make a support ticket for this. Took a third shelf surprise thing from the Tera rewards hoping for something nice. Got a dreadnaught chest for a zerk (and I was playing my brawler) which wasn't so much of a surprise, and certainly wasn't a reward. Is this a bug? I hope so because I don't think it's a good idea having gear come through the reward credit thing. Definitely a bug. We don't want gear in that store at all. after all the quests and dailies that involve getting rewards points we get nothing... how is this going to be addressed? Reward Points will be properly awarded after the patch tomorrow. As for players who should have gotten Reward Points last week but didn't because of the bug, we're working on a way to grant points retroactively. CS queue from 2 to 5. This is an error that displays when TERA stops working for an unknown reason. We recommend that you attempt to play again. If the problem persists, please visit FAQ below for additional troubleshooting steps. That's a launcher problem, please give details in the other pinned thread, dedicated to patching & launcher issues. Please see the other pinned thread, dedicated to launcher issues. In a PM, can you provide the name and server of your stuck Ninja? Logged out of the game, and back in 7 times. My Flying mount is still not showing up anywhere. Can someone please just tell me if it's a 65+ item or not. That is all I am wanting to know. The store says available to use on any character but I can't even get it to show up in item claim. I think we might be experiencing a slight delay in purchase delivery right now. I am having another department look into it to confirm, then get it resolved as a soon as possible. i got the memory leak error. restarted PC and repaired but the moment i get on, i crash. 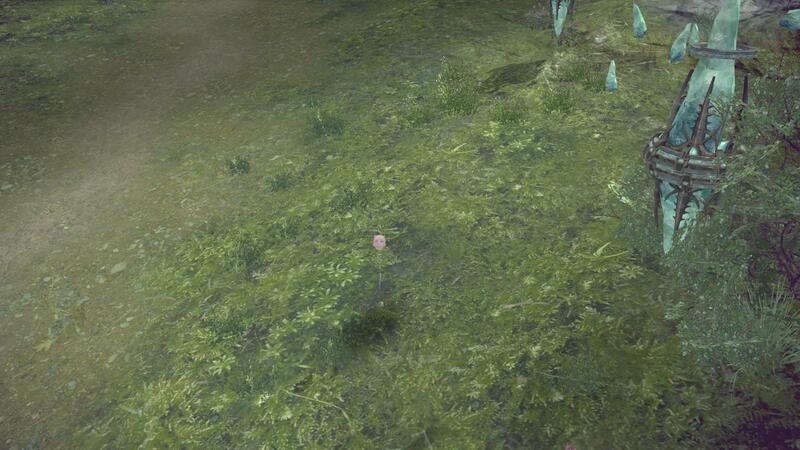 Can a GM pls move my char? Can you PM me your Character's Name and Server ? I can't see my own ninja and others. This occurs due to Modded Elin files that now need to be removed. This doesn't just happen with ninja, it happens with any class on elin. I have no mods installed and I've already tried repairing the launcher but it made no difference. You can click the Arrow on the Left side to display the other hair colors. We cannot dismantle weapons or gear!!! What gives????????????? You can sell them. First make sure you don't need your avatar weapon for the Crescentia quest. This might be a silly question, but did you kill a lower level player? Outlaw mode won't go away if you have infamy from killing someone. This was mentioned in another Forum Thread I believe, but i occurs when Elin files have been modified. Is this your experience on all characters, or just the current one you're trying to play? If it's just one character only, PM me the character's name and server. Not letting me discard avatar weapons or even dismantle them. That's because they're needed for a quest turn-in. Avatar Weapons can be sold to a Merchant NPC, if you really wish to have it removed. Click them for a bigger viewage! Try re-launching your game. If that doesn't work, use the "Repair" in the TERA Launcher's Tools Menu. It's not your account, but probably a localization file that didn't get updated properly. If you PM me your character name and server, I can assist with that. Also, if you have not already done so, you'll want to use the Repair feature in the TERA Launcher's Tools Menu. Sorry there's not much to do in that situation. You'll have to pick a name that doesn't flag the name filter as a no-no. It's built into the game. Any other details? Have they tried restarting their client? In-game store displays "price has changed" error when purchasing discounted products. STATUS - Currently investigating, web store not affected. Thanks. We'll get that sorted out. Adding to known issues list. With any giant update, there are bound to be little bugs that pop up. This thread will be used to post and collect issues experienced in-game after you've successfully updated to the new version. Comments should consist of game bugs you've experienced, not changes that you aren't satisfied with. Screenshots are greatly appreciated, but not required. Give as much detail as possible.